The Invisalign system is used to correct such bite issues as gaps, misalignment, crowding and crookedness. Your cosmetic dentist will start the process by examining your teeth to determine whether you are a good candidate for the Invisalign method. At your next visit, bite impressions are taken and sent to an in-network laboratory that will develop a treatment plan, which will map-out a complete set of aligners to gradually and comfortably adjust your teeth. Once your Invisalign aligners are ready, you’ll return to your dentist to retrieve them, and you’ll be instructed to wear them for at least 22 hours each day to ensure that you stay on track with your treatment plan. You’ll wear each set of aligners for around two weeks and then discard them for the next set in the series. To make sure you’re on track with your treatment protocol, you’ll visit every six-to-eight weeks for a check-up. Many patients prefer Invisalign because it offers a discreet treatment process and allows for the maintenance of a normal lifestyle. Thus, patients are able to remove the aligners to eat and to perform oral hygiene, which makes for a more pleasant experience. The first step to learning more about the Invisalign process and your eligibility is to reach out to your local dentist to schedule a consultation. While there, you’ll be able to ask any questions you may have, and the specialist will explain what the investment is, based on your needs, so you can plan accordingly. With Invisalign aligners and the expert guidance of your dentist in Hackettstown, you’ll soon be beaming with confidence because of your brand-new smile! Since graduating from NYU, College of Dentistry, Dr. Arindam Kakkar has remained passionate about helping patients achieve healthy and beautiful smiles. He offers expert care, with a specialty in cosmetic procedures. 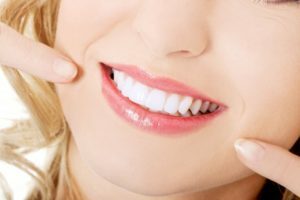 Using the latest in dental technology and innovative techniques, Dr. Kakkar helps patients renew the look of their teeth with Invisalign at Skylands Dental of New Jersey, and he can be reached for more information through his website.